Fortnightly pod-joy from Ian Collins (and Sideshow Kev). Ep 122 - THE WANTS A WORD YULETIDE LOG 2015! Ep 121 - HI DOGGY! Ep 120 - REASSURINGLY RETRO! IAN HAS SOMETHING TO SAY! And here we are. Follow @iancollinsuk and @sideshow_kev on Twitter. Gotta be honest, Andre usually writes these descriptions, and he's not around, so there's nobody here to do it. Sorry. Complaints to @iancollinsuk and @sideshow_kev on Twitter. Ep 112 - THE SPRING Q&A SPECIAL! 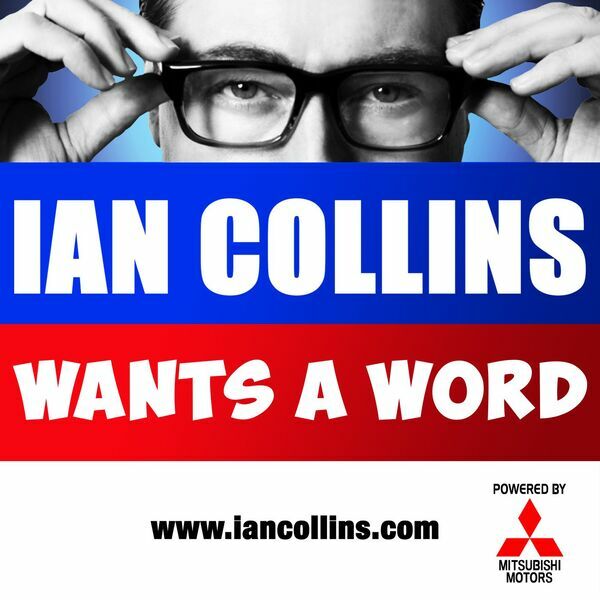 Ep 109 - THE WANTS A WORD XMAS SPECIAL 2014! Ep 105 - HALF-TERM HALLOWEEN HORRORS! Ep 102 - THE JUMPING IN POINT! Ep 101 - THE DEUCE! Join Ian and Kev for a celebration, as Wants A Word hits a milestone! It's Episode 100 - PART TWO! Follow @iancollinsuk and @sideshow_kev on Twitter, if you dare. Ep 97 - PERCY THROWER'S FACE! Ep 93 - BURLESQUE! AND DANNY WALLACE! Ep 92 - FONZIE'S DISCO! Ep 91 - IAN'S EASTER CARAVAN! Ep 89 - LIQUID MEAT! Ep 87 - MONKEY GONE TO HEAVEN? Ep 85 - IT'S THE SOUND... OF NOW! Follow Ian on Twitter: @iancollinsuk Follow Kev on Twitter: @sideshow_kev Follow the Yellow Brick Road Follow the Yellow Brick Road.